Are Mangoes Good For Dogs? Mangoes are one of the healthiest fruits we can eat, and it doesn’t hurt that they’re so sweet and delicious. But before you slice up a mango and feed it to your dog, it’s important to know if it’s safe, and if it’s good for them. Yes, dogs can absolutely eat mangoes! This stone fruit can be a natural sweet and refreshing treat for your four-legged friend to enjoy right along with you. But, it’s important to keep a few things in mind. When you decide to give your dog mango, make sure you’re only giving them the flesh. 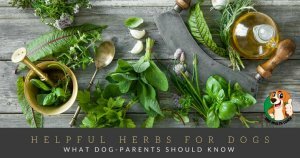 The pit can be a choking hazard, and even if your dog is able to ingest it, it can cause a blockage, and digestive problems later on. Same goes for dogs and avocado and dogs and apricots. As far as the seeds go, it’s never a good idea to give them to your dog. Mango seeds can contain small amounts of cyanide, which is a poison that is extremely deadly to dogs. 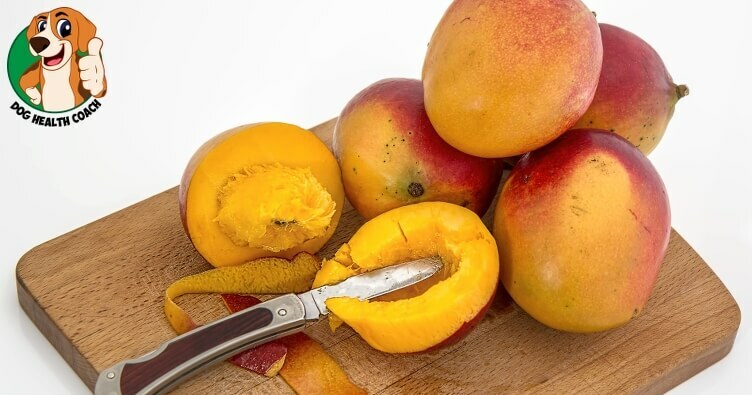 Make sure all of the seeds have been scraped out before offering mango to your dog. Can dogs eat mango skin? It’s not recommended. While the skin doesn’t have any poisonous properties like seeds do, it can also cause digestive issues. Stick to the mango flesh, and your dog will love it! Dogs can certainly eat dried mango, but make sure nothing has been added to it. Sometimes, in the drying process, manufacturers will add sugar to make the dried fruit taste more like candy. If you serve your dog dried mango, make sure it’s 100% natural, or dehydrate it yourself. Mangoes can be perfectly safe for puppies in small amounts, as long as you serve them only the flesh. It’s always a good idea to offer your puppy a tiny bit at first, to see if they like it, and how they react. Have you ever given your dog mango? Let us know if it’s one of their favorite fruits, or what other fruits they enjoy by leaving a comment below – let’s see which fruit ends up on top! 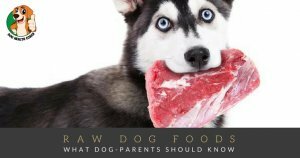 Check out other healthy human foods for dogs and let us know if we missed your dog’s favorite!